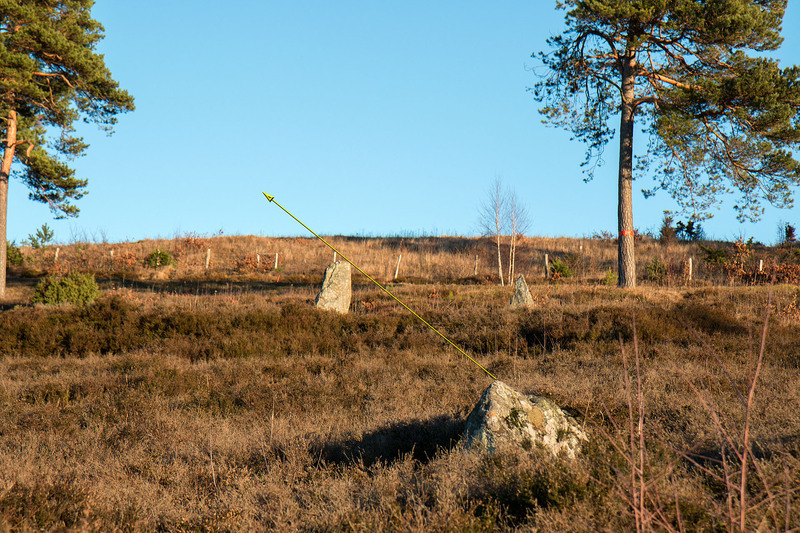 The stones show the point on the horizon where the sun rises on the day of the new quarter in summer. The distance between the stones is 29m. The gradients of the top of the higher stone is in alignment with the sun’s path. The sun’s path is exactly right compared with the stones 28 days after the summer solstice. The sunrise on the on the day of the new quarter can be seen today. The next date on which this will occur is July 18 2015, 6:35.